The chase is on! Brainy has been kidnapped by a new foe and his army of relentless birds. Join Trey and his brave gang of Tribloo pals as they race to rescue their friend. 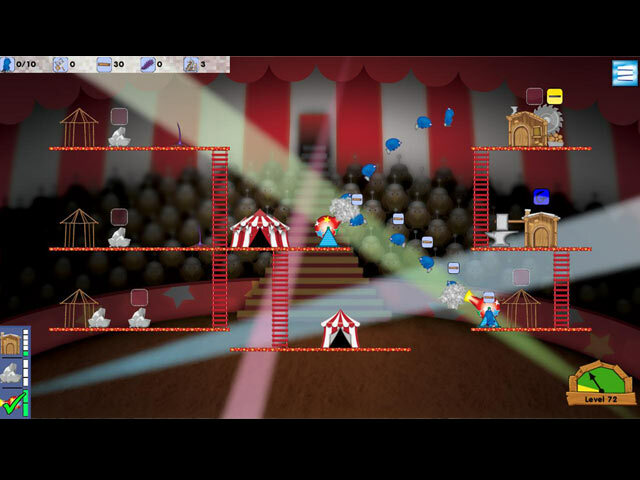 Journey across this exciting new realm and save their friend Brainy before it’s too late! Rejoin the Tribloos in a brand-new adventure. From their forest home to the burning desert and snowy mountains, help the Tribloos in their quest in this new Time Management Epic. 101 Levels of pure Time Management fun! Original soundtrack, over 45 minutes of music! 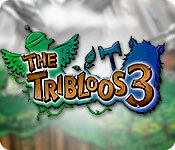 The Tribloos 3 is rated 4.6 out of 5 by 14. Rated 5 out of 5 by bashmore27 from Tribloos I enjoyed the first two, so I bought this immediately. No regrets. Rated 4 out of 5 by Eveoflove from Make sure you plan ahead I haven't tried the first 2 installments of this series, so this one was new to me. I only had a partial screen despite having downloaded the software update, but that got resolved by using my monitor's "auto-adjust" feature so I could then see the entire "picture". I like how the level objectives are represented, and despite being one of those "collect resources", "clear the way" and "build things" approach, the idea of having the option to assign multiple "people" to 1 task is pretty clever... for example, you can choose to have 3-4-5 of your 10 workers build a single house while having 2 workers collect 1 pile of wood and the other 3 collect a different pile of wood. 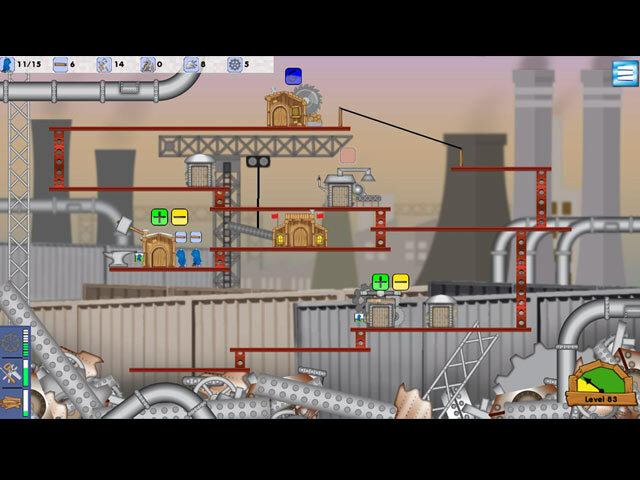 I didn't go very far during the demo (level 7 in progress), but it became obvious that the key to getting 3 stars on each level is to come up with a strategy BEFORE launching the tasks: it's not just about in which order to perform the tasks, but also thinking about to deploy your workers. It was fun but challenging fairly early in the demo, so this will buy a buy for me. 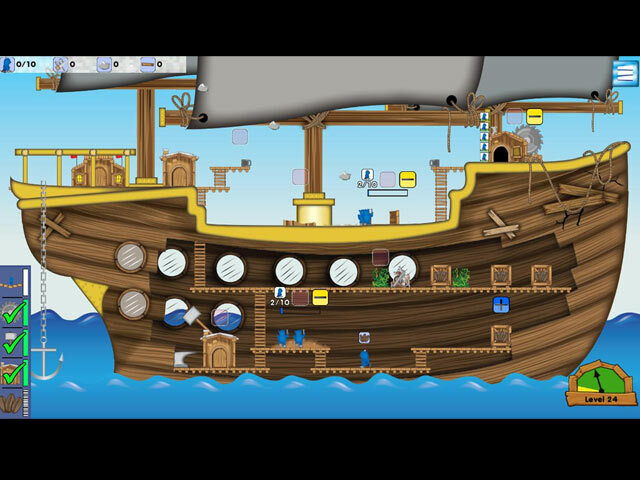 The instructions are simple, the objectives well presented visually, and the storyline has some nice humor in it (despite the fact that there are a few grammatical errors here and there, like on intro to level 3 "Gerty and and her friend Sam..."). If you're into TM games, this one is original despite not having the best graphics ever... Try it but give it 3 or 4 levels (at least) before forming an opinion. Rated 3 out of 5 by DragonPoker from boring Basically the same stuff, repeated on 100 levels. Nothing new, no challenges or rewards, just ssdd. Rated 3 out of 5 by campingramps from These Tribloos need a new home. I like a good TM game just like the next guy but when they become boring and monotonous then I'll leave them alone. This might be an ok game for the 6 and 7 year olds but not for adults or anyone older than 6 or 7. Game play is the same over and over on every level and the only difference is you have to build more things. Might get more complicated later in the game but I became too bored to continue. Plus, no matter how hard I tried, i could not beat the clock. Some games turn out fun but this one didn't. I don't recommend it even for the TM lovers. But, try it at least. You might like it.